A shocking incident has come to light from Jammu and Kashmir’s Poonch area where Indian Army has recovered a large number of arms and explosive material. Just before 15th August (Independence Day) a large number of explosive material have been recovered during a search operation in Poonch district, said, official. During the operation, Army found four firearms and 14 grenades. Army troops have started the search operation at 9 am and was ended at 12 pm in the KP Nala area of Mandi tehsil. As per the PRO defence, a large number of arms, ammunition and explosive material have found from the search locations. 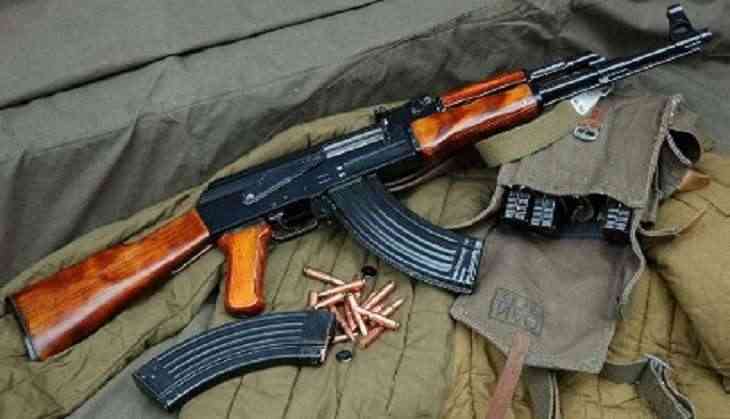 Among the deadly weapons, Army found one 9mm pistol, three magazines of the pistol, four rounds of 9mm pistol, one Ak-56 rifle (with sling), four carrying bags, one unidentified weapon, one revolver, 14 hand grenades, three magazines of AK-56 rifle with ammunition and one AK-47 bayonet, said reports. However, the investigation is still going on. Well, this is not the first time that such deadly weapons have been recovered in Jammu and Kashmir. Recently, a militant has been arrested with grenades in Jammu and Kashmir. Evry year, just before country's Independence Day, such shocking incidents come to light to create a terror situation in the country.